Did you June is National Safety Month? Its actually is a bitter sweet month for me. Its the month we celebrate Father’s Day and its also the month we celebrated my Father’s birthday, so I think of him a lot. Dad, Mini Me and I at one of our last Thanksgivings together. Love this photo. 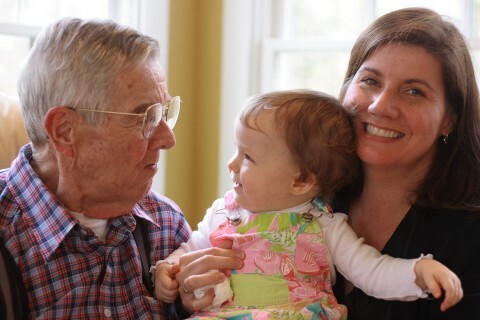 We said goodbye to my Dad a few years ago. He was a very stubborn independent man, so when it was time to move him to assisted living, it was a huge challenge that took convincing. He did NOT want to give us his independence, let’s face it who does? It took a fall on one of his daily walks at a park for him to realize maybe it WAS time for him to have a little help each day. Luckily the fall just scraped up his legs and a good Samaritan drove him home and saw him to his door to make sure he was OK.
As our parents age, dynamics of our relationships change and we become advocates for their health and safety. After my dad moved into his assisted living apartment, among the many new hats we were wearing: safety patrol. Dad liked keeping EVERYTHING out so it was easy to find. He had a box on the floor that contained some videos of shows he liked to watch that he had taped (back in the day) and let me tell you, he had a whole lot of Andy Griffith and Mama’s Family in that box. We had to convince him that box was NOT safe just in the middle of the floor by the TV, he could trip on it and cold get dizzy bending down to the floor, so we found new safe homes in his apartment for things he liked just leaving out. We also looked at his new home and decided to “child proof” if you will, in a way that would be safe to among other things, prevent falls. 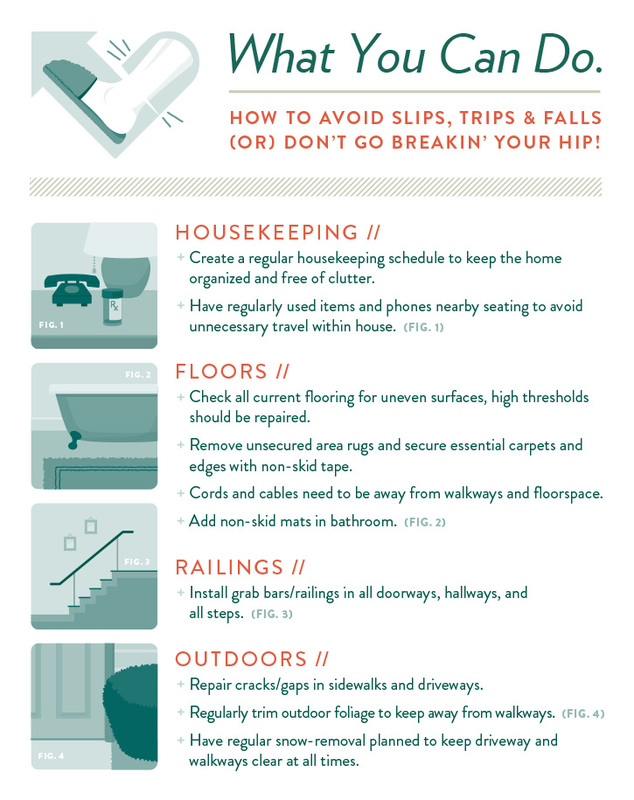 Here are some things you can do to protect your loved ones and keep them safe from falls. I was provided the above graphic from American Recall Center, a brand new site web site devoted to providing health and wellness news in simple, straightforward terms. Their goal is to help their readers to take complete charge of their health by being fully informed. 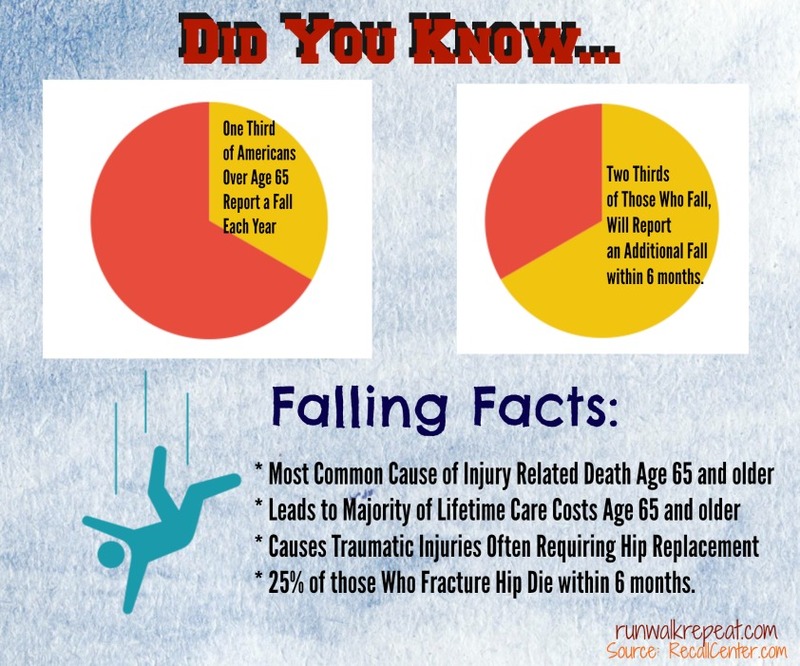 You can read more on how to keep your loved ones safe from falling here. They asked me if I would be interested in sharing this information with my readers and thinking of my dad in his later years, I knew it was great info to share to those dealing with helping care for an elderly parent. AND for disclosure, I am sharing this info because I think its good to know – not compensated for sharing in any way for those who may be wondering . I know if I reach the years my dad did, my family will make sure I am as safe as possible. Of course until then, my running will help me stay strong too…that is something I can do for them as my dad did for us with his daily walks. Stay Healthy Y’all and Let’s Be Careful Out There as they used to say on Hill Street Blues! Are you worried about your parents as they age? What do you do to help keep them safe?